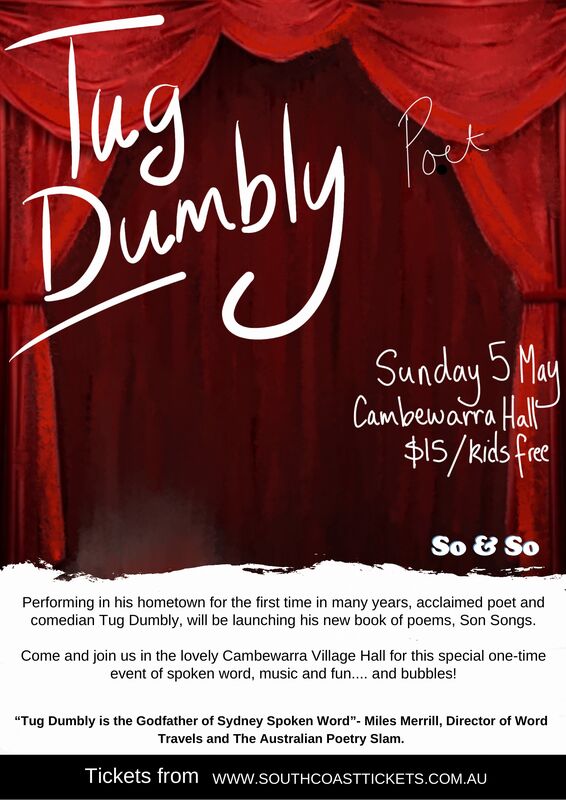 Poet and comedian Tug Dumbly performs his poems, comedy and songs in his first show in the Shoalhaven in years. This event will also launch his new book of poetry, ‘Son Songs’. Tug was a long time regular on Triple J and the ABC Local Network, twice won the Banjo Paterson Prize for comic verse and three times won the Nimbin Performance Poetry World Cup. “Tug Dumbly is the Godfather of Sydney Spoken Word” -Miles Merrill, Director of word Travels and The Australian Poetry Slam.